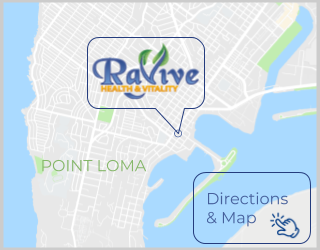 Howard Flamm is the Clinic Director of Ravive Health and Vitality here in San Diego. As a nutritionist, he has been trained by Dr. Tran Tien Chanh, a French physician who has written 3 books on the subjects of metabolic science and weight management. Dr. Chanh, M.D., Ph.D., devised his all-natural medical protocol- called Ideal Protein-, which is internationally regarded and has been in practice, and clinically-tested worldwide, for over 35 years. It is thru these teachings that our clinics in San Diego (as well as one in Denver, CO) have been able to thrive and help our patients lose over 20,000 pounds since opening in 2010. The most gratifying component has been the opportunity to ‘light the path’ for patients to reverse chronic disease- such as high cholesterol, hypertension, & the onset of diabetes. Howard has served in the Health Services field for over 20 years. 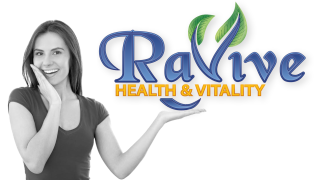 He’s committed to helping clients reach their weight-loss goals, naturally restoring health and vitality to their lives.